Want ski the great white north with spectacular water views? 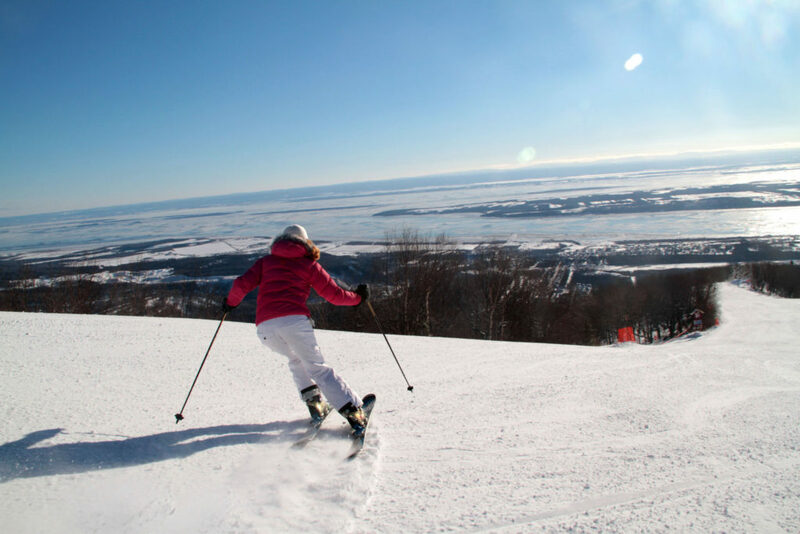 Mont Sainte Anne is the place for you. 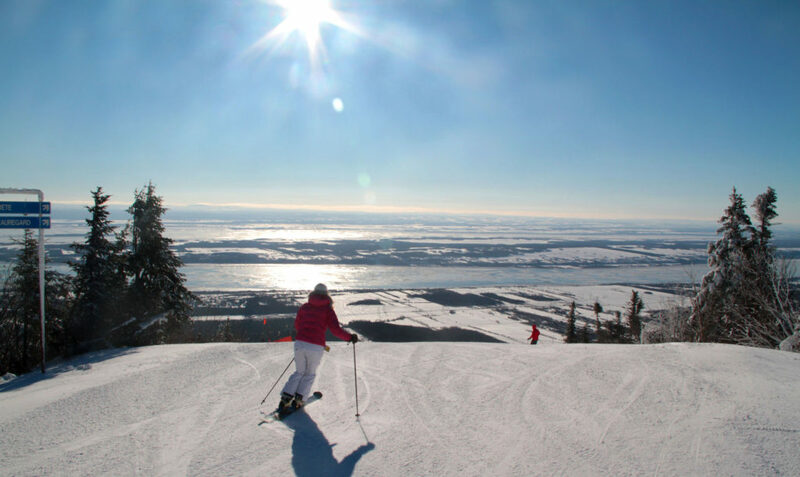 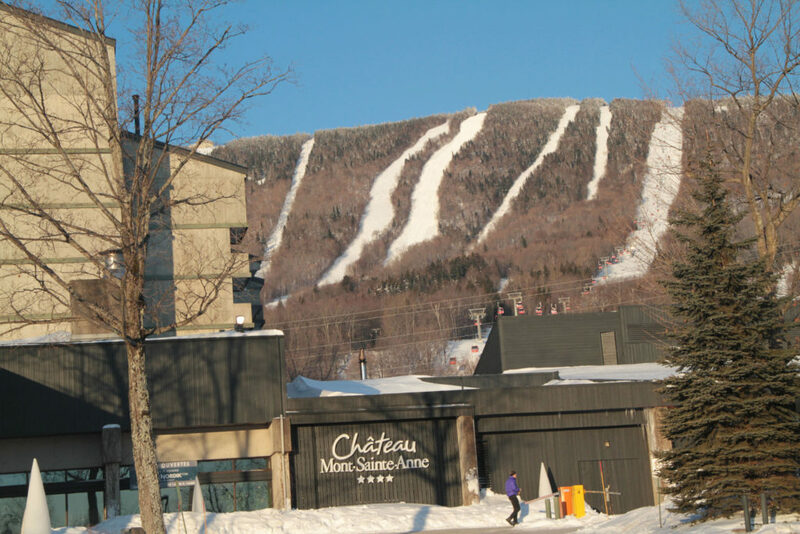 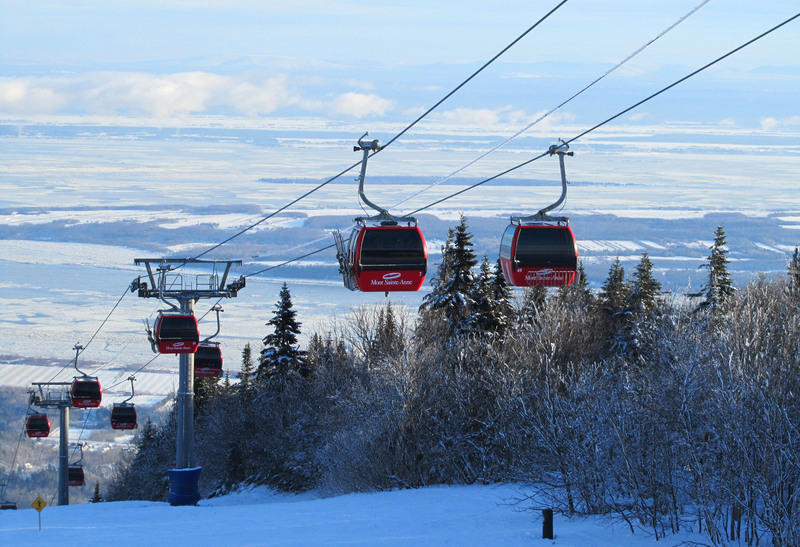 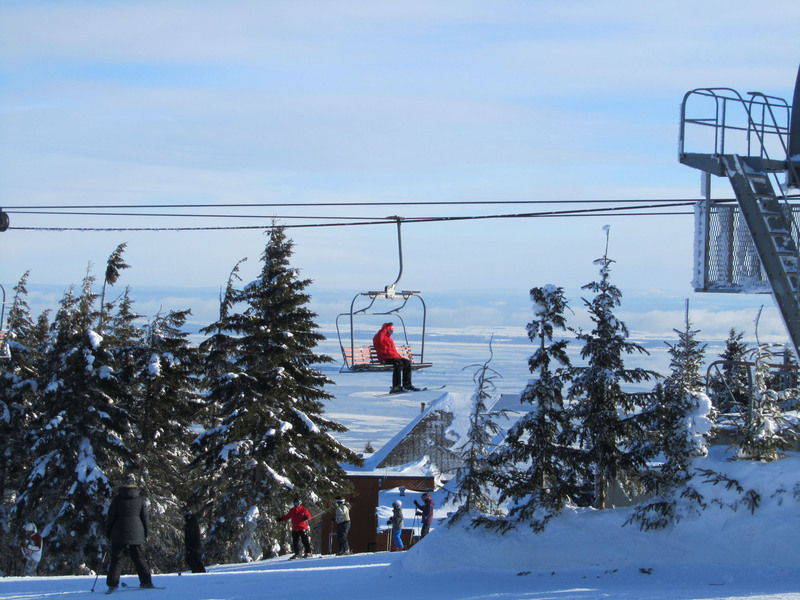 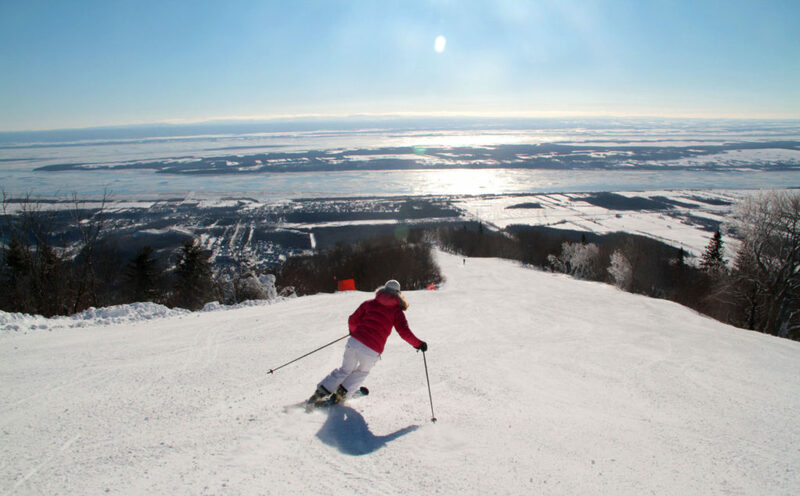 Just 25 miles from Quebec City in the Laurentian Mountains, Mont Sainte Anne has great skiing spectacular views of Quebec City and of the mighty St Lawrence Seaway. 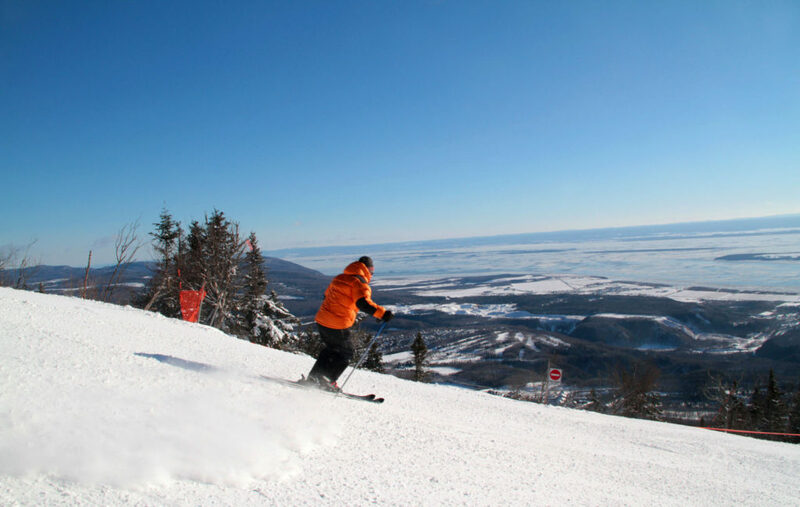 Mont Sainte Anne is ideal for an eastern Canadian ski vacation, it has plenty of terrain, 2,050’ vertical, a base to summit gondola and high speed quads that flank this three-sided ski mountain. 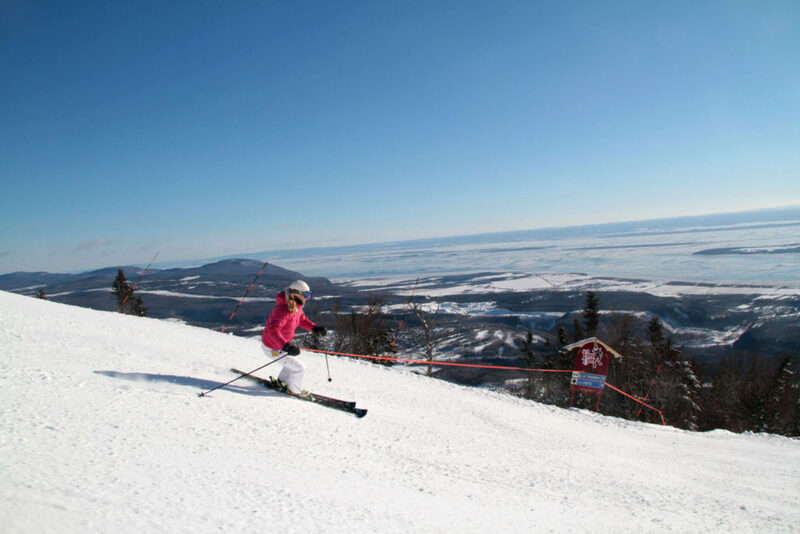 Our favorite trail at Mont Sainte Anne is the FIS sanctioned La Crete – a race trail from the summit with extraordinary views and a sustained pitch of 40-degreesand. For bumps, La S and Super S are long legendary bump runs. Mont Sainte Anne is also host to fun terrain parks and beautiful glades – Le Forêt Noire, La Belle et La Bete, and La Forêt Enchantée. 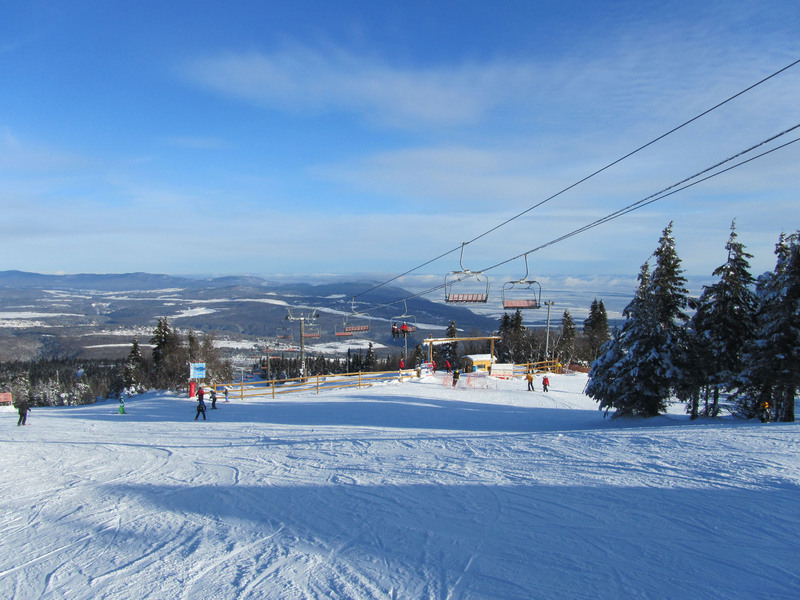 The longest trail at Mont Sainte Anne is Chemin du Roy – a leisurely 3.7 mile run. 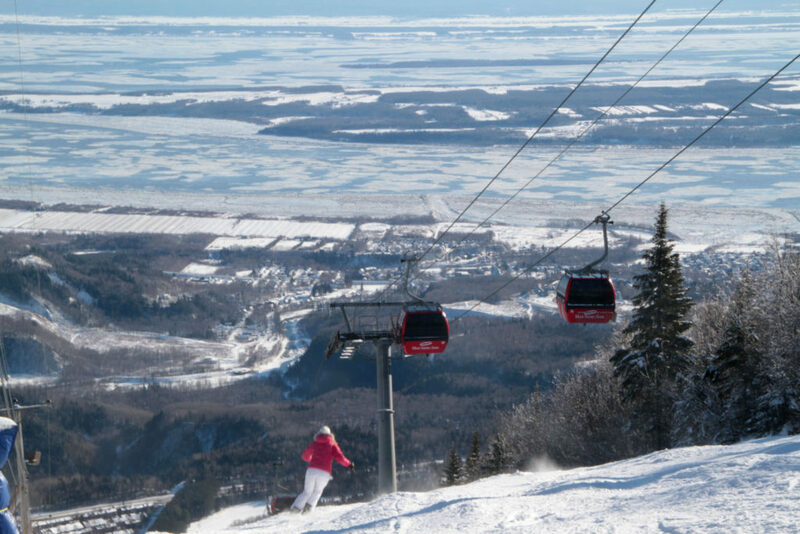 Mont Sainte-Anne has one of the best ski and snowboard schools, Ecole de Sport Neiges, in Quebec with lessons for all abilities plus son mountain daycare for the little ones. 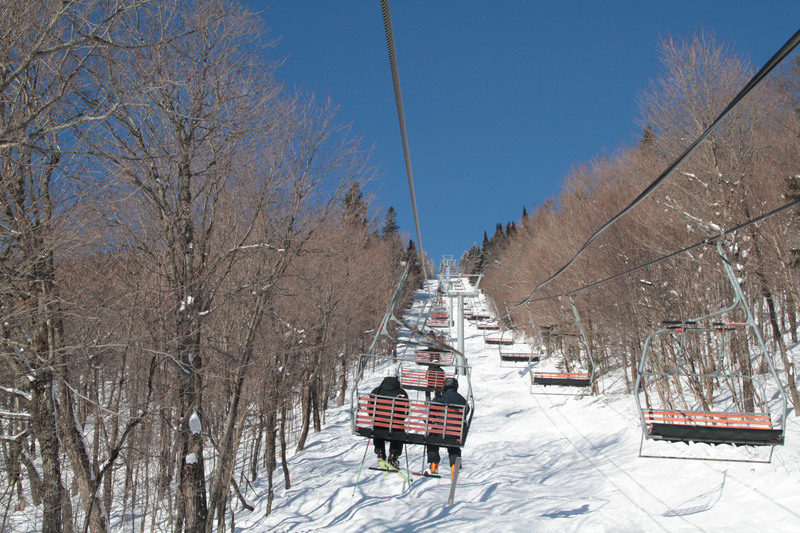 Ski La Pichard trail to the Cabine a la Sucre for maple syrup on snow – a sweet Canadian treat. Mont Sainte Anne ski village is just the right size, with après ski bars like Le Brez, a few shops, and lodging at the ski in/ ski out four diamond Château Mont-Sainte-Anne. 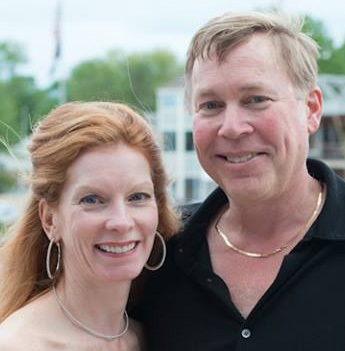 The Chateau Spa offers a range of beauty and health treatments, a wonderful outdoor hot tub plus an indoor pool. 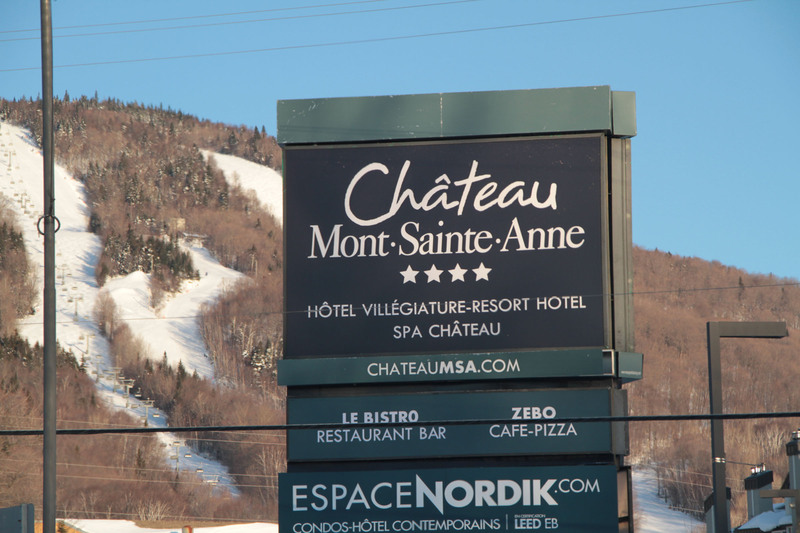 Apres ski at Mont Sainte Anne, ski some more, on the highest vertical night skiing in Canada. 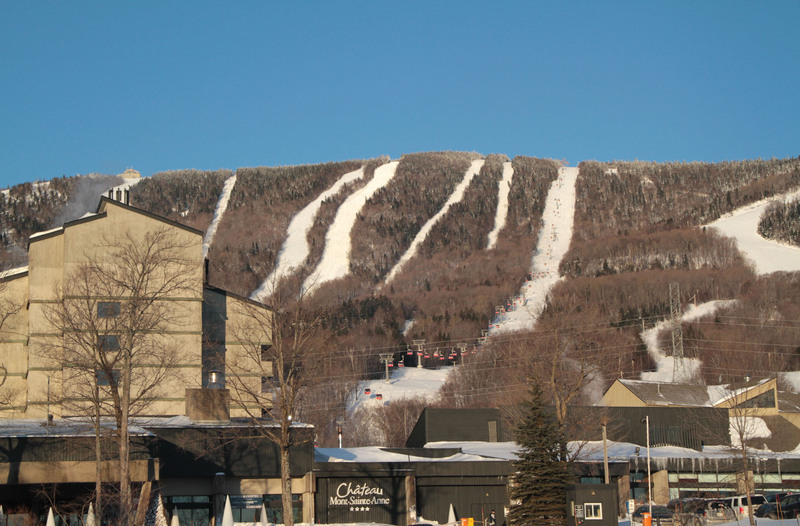 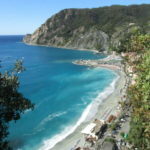 19 trails are light for skiing, or you can enjoy watching from a sloe side bar or restaurant. 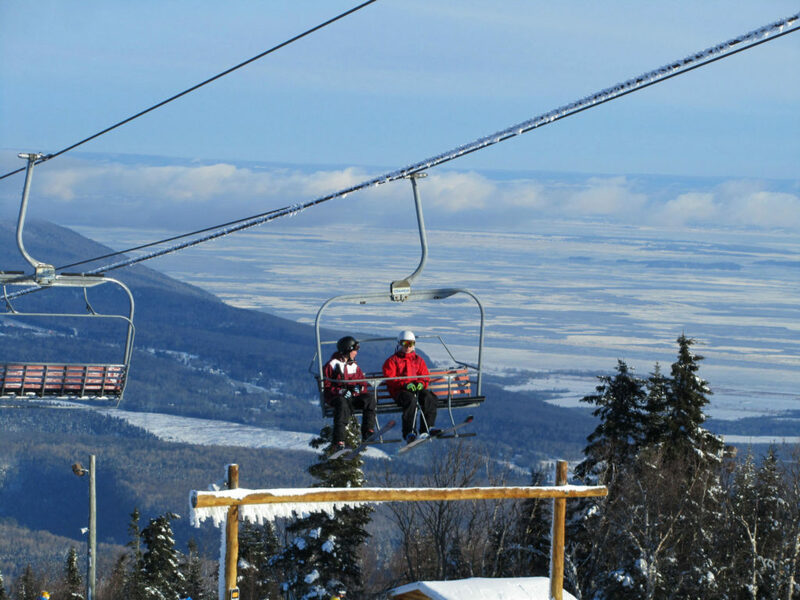 For fireside fondue, you can ski or walk to Le Brez in Mont Sainte Anne’s slope side village – its cozy and casual with a great view of the ski mountain. More snow adventure at Mont Sainte Anne, we suggest dog sledding, Nordic skiing on over 200 kilometers, , ice skating, a visit to Hotel de Glace Ice Palace during Winter Carnival, or the Montmorency Falls on Route 138- a dramatic waterfall 30 meters higher than Niagara. 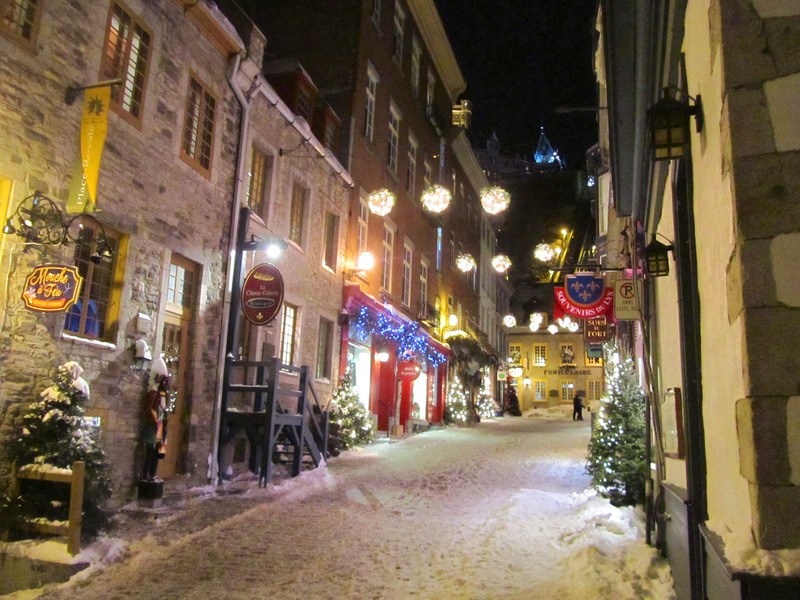 Quebec City is just a half hour away, if you prefer to stay in the beautiful historic city of Quebec City at the swank Hotel Le Germain Dominion or the famous Le Château Frontenac, dine and party in Vieux Quebec and commute to the ski slopes by day. 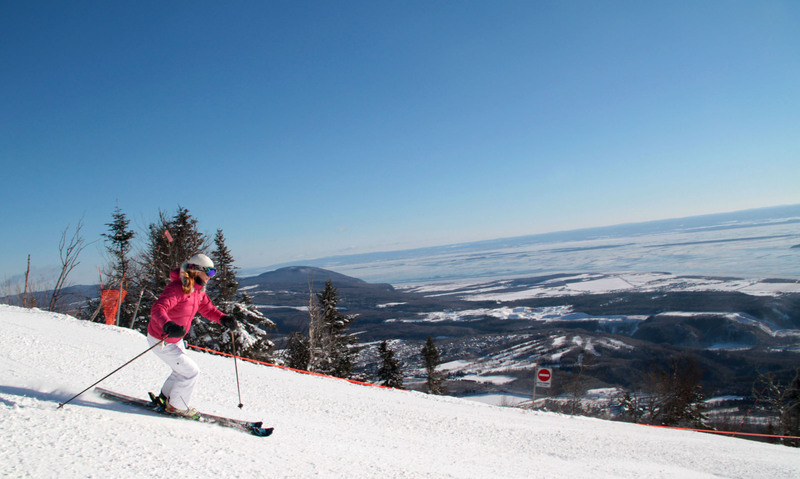 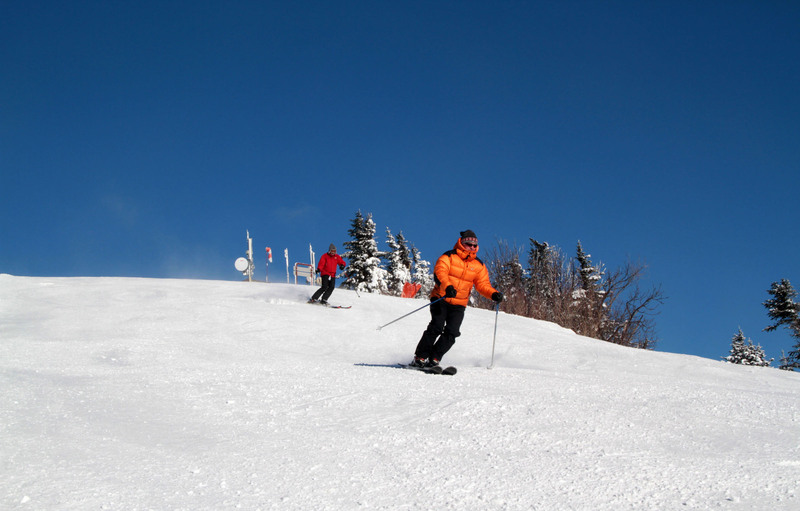 Ski Le Massif as well, a half hour north of Mont Sainte Anne to complete your luxury ski vacation in Quebec. See our luxury ski guide to Le Massif and staying at Hotel Le Germain Charlevoix reached by ski train. 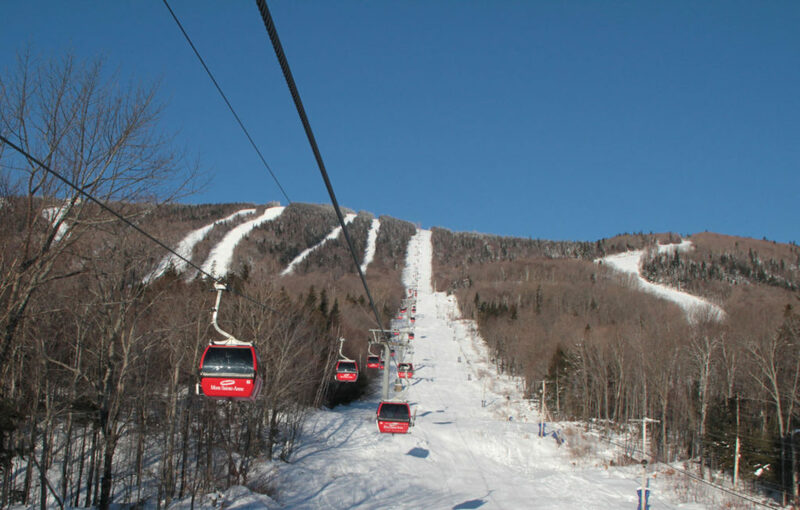 Mont Sainte Anne and nearby Stoneham are sister resorts of the Resorts of the Canadian Rockies along with Lake Louise, Fernie, Nakiska and Kimberly in Western Canada.